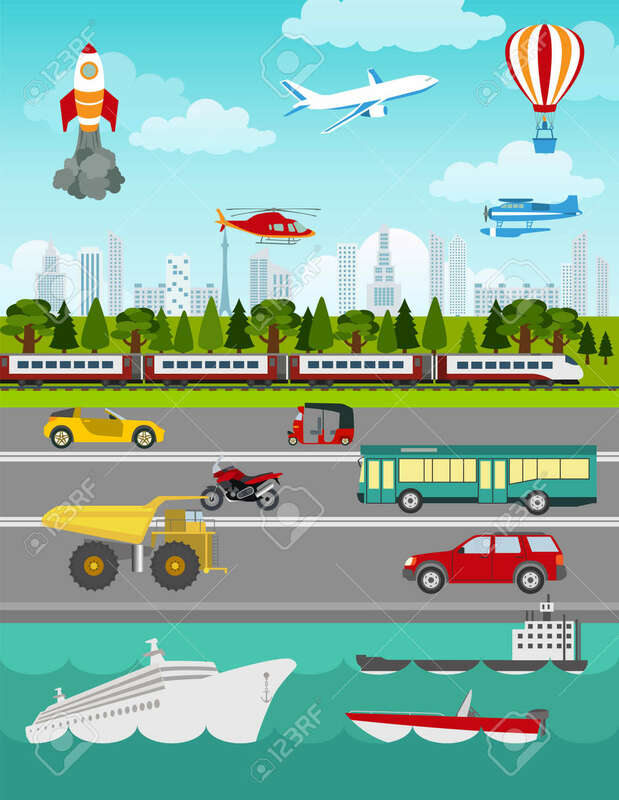 Transport Infographics Elements. Cars, Trucks, Public, Air, Water, Railway Transportation. Retro Styled Illustration. Vector Клипарты, векторы, и Набор Иллюстраций Без Оплаты Отчислений. Image 42566312.